One of the oddest hip-hop beefs of 2017 ended almost as quickly as it began. Late last week Ma$e (Mason Betha) dropped a diss of Cam'Ron (Cameron Giles) titled "The Oracle." The two were originally childhood friends who attended the Manhattan Center for Science and Mathematics together, and even formed an early 90's rap group called Children of the Corn, but the group disbanded in 1997 when member Bloodshed (a cousin of Betha's) died in a car accident. Initially they remained friends and colleagues, but you all know what the late Christopher Wallace said, "Mo Money Mo Problems." 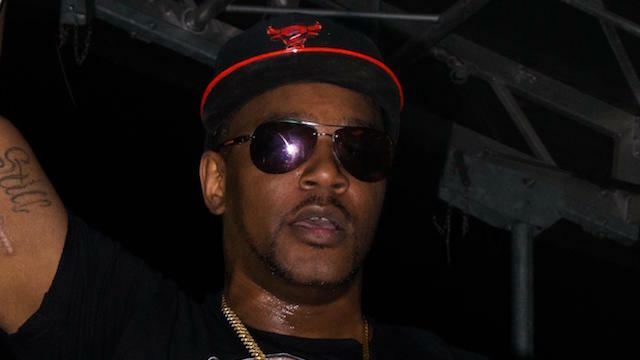 Even though the beef had been quiet for years, Cam'Ron talked smack about Ma$e becoming a pastor and reignited the feud all over again. Incensed at being dissed like that on Instagram, the song below was Betha's response. but let's get back to the smack and that Tru Life chain"
Cam'Ron was quick to promise a response on his favorite social media platform. And he made good on that promise in incredibly rapid time. Beefs like these used to take months to percolate before the internet - now they take hours - which is why they've gotten so dangerous. Amazingly though both sides appear to have squashed the beef just as the internet was ramping it up. If there was such a thing as "trending topics" on Facebook, it definitely would have been on the list, because it's virtually all I saw on my timeline for 2-3 days. As much as I joked about the relevance of the two beefing in 2017, I can't say I'm mad to hear they called off the feud before people affiliated with either side decided to up the ante -- something I've seen too much of this year already. Much respect to the two for making peace and just in time for the holiday season.